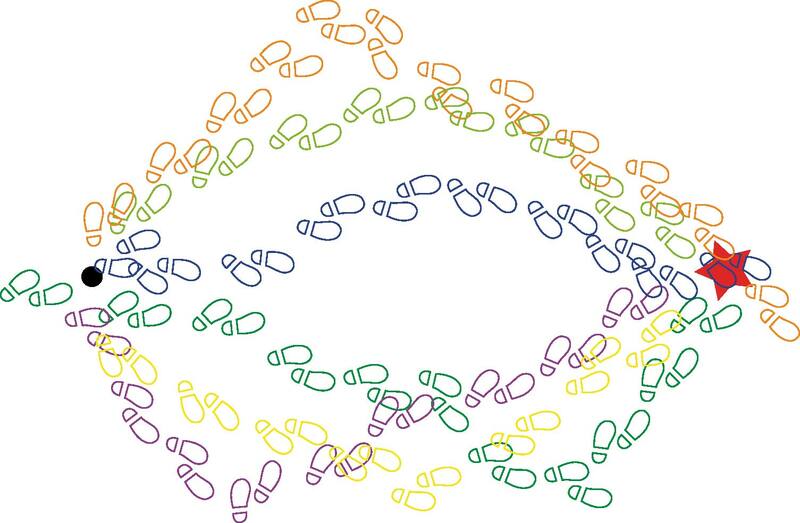 Design Thinking – the best tool in office? 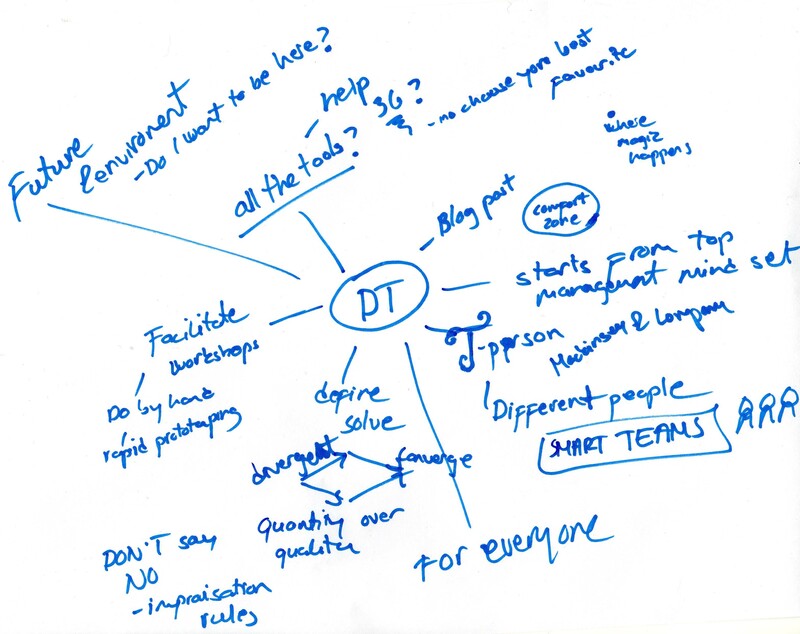 Design Thinking (DT) and writing a blog post. Other one I know some, other one I don’t know anything. To me DT is the tool I would like to use in so many cases in my daily work. Writing a blog post is a big jump out of my comfort zone. Design thinking must feel same for some people on work environment, so no wonder if it is sometimes so difficult to practice DT methods in different tasks you need to solve on work. 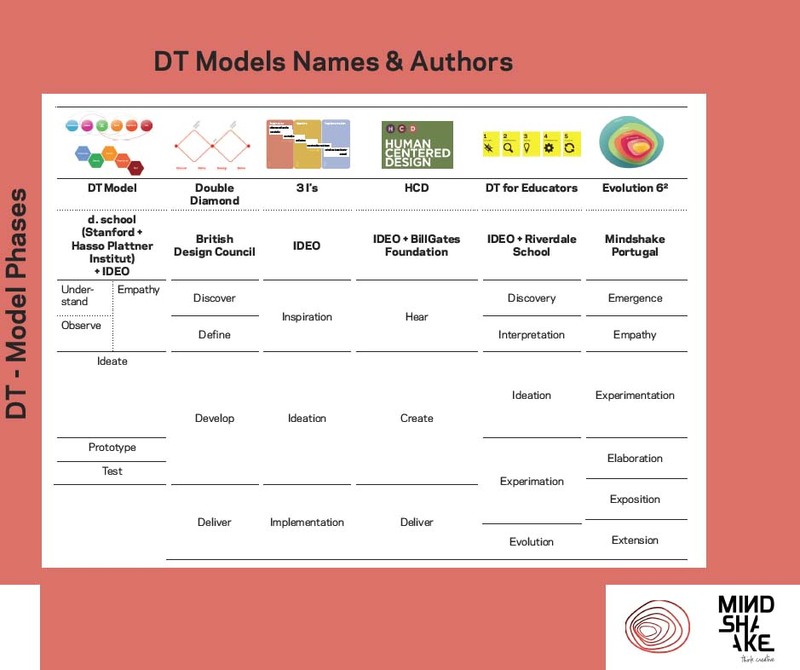 I feel that DT tools are just made to find and solve problems and innovate around those. So many models and methods – what to choose? 4.9. first thing on my mind was panic. Because I felt that I haven’t heard all of Katja Tschimmel 36 tools out of Evolution 6² model. And do I need to remember these? There are also so many other models and opinions and what is the right one? After lessons and reading Tim Brown book: “Change by design” I realized that there is still same familiar idea behind these tools and methods; to bring clarity out of fog. And actually I know and have even used many methods. So no panic! I learned that thing is not about using certain tool or method. Tschimmel defines in her article 10 tool categories: Observation, Maps, Personas, Brainwriting, Sketching, Visual and Semantic Confrontations, Storyboard, Rapid Prototyping, Storytelling, Learning experiences/Testing. You can choose the best and most suitable model and method for the case you have today on your desk. I’m a person who likes simple ideas and less is more to me. Simple diamond with Divergent and Convergent thinking; creating choices and making choices, gives the clear idea of the method. You should probably repeat this diamond several times during one task with different DT methods but idea stays same. Start from some point, explore and come back to some point. 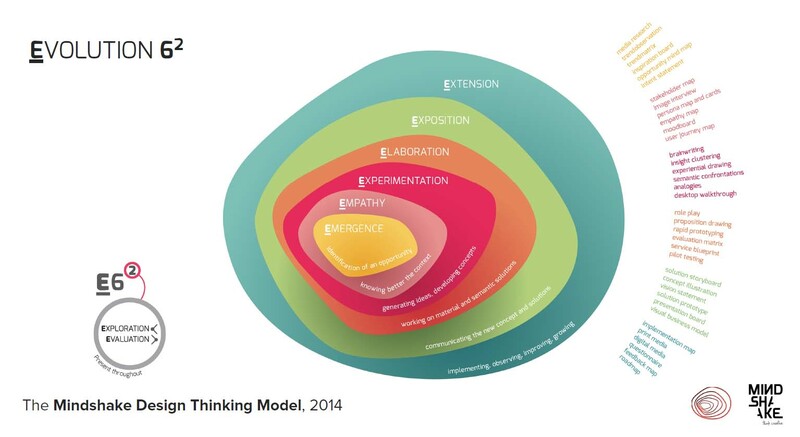 Where I should use design thinking and with whom? When reading these articles and books in every minute I invented new subject in past or current work life where I could use these methods in bigger or smaller lever. I have had privilege to facilitate sometimes workshop with this type of tools. I like to mix different expertise around the area and brainstorm with people. It is nice when you see persons giving ideas even when they seem to be introvert people and sparkle in their eyes when someone actually listen their issues on the subject. Most of all you see the energy when they go back to their normal tasks. I would like to use even in small scale some of the methods in tiny thing in office to solve something faster than making again new linear process chart. That is the challenge still in many work or even hobby based organizations that how to engage people to use DT methods. How to tolerate a moment of uncertainty and not clear subject? How to be sure that we will get to the point when we are ready and know the answer and that we will do it better and more efficient way than just going by straight line? So use it with everywhere and with everyone if you can. Brown, T. (2009) Change by design: how design thinking can transform organizations and inspire innovation. New York: HarperCollins Publishers. ← Hand me the Legos – I’m in! I noticed the same things you do. I have done a lot of process and project planning work in work-life, the methods have been a bit different to the Design Thinking ones, but at the end of the day the idea stays the same: to get people out of their normal work routine and into a creative mode. It was good to learn about the methods you can use in Servie Design, however I too feel rather overwhelmed > what would be the best way to go and how will I remember all of them so that I can pick one that best suits me in case I need it. Having done some thinking around this (while reading Service Design literature) I ended up thinking that common sense is the best way forward, you need to pick and choose, combine best practices and then use the means that the situation at hand require i.e. the project at hand and the people involved in the creation process steer the choise of method. Thanks for the post Beada! I too felt a little panicky after Katja explained the evolution 62 model and the card game afterwards. I had used other models in conducting workshops before, but this way new even though the methods were similar to other models. The biggest question for me is to understand which model to use in which situation, but as Thomas mentioned, let common sense lead the way! Personally I feel that common sense has been forgotten nowadays. Maybe it should make comeback. When in doubt, take a deep breath, think and use common sense.